Well, despite the fact that we had one of our major schools in a State Football Championship, we still managed to bring over 20 students and adult volunteers to help out at the Holiday Center at Metropolitan Ministries. This place is an amazing example of what can be done when enough people care to give of their time. Metropolitan Ministries serves almost 15,000 families during the Holiday season. Providing food, toys and a whole lot of dignity and respect. GET REAL Involved! volunteers assisted with distribution of food this year in the food shopping area. Taking turns, we greeted guests, identified their needs and assisted them in choosing food from the well-stocked aisles! Christmas songs in the air and smiles, smiles, smiles! It was fabulous! 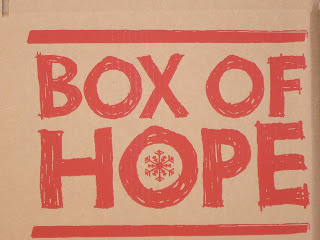 We began by unloading the 90 BOXES OF HOPE we had collected in December – 3,000 pounds of food! And the 37 toys we had collected as well. Those items were on their way to making someone’s Holiday that much more special! We then headed into “the tent” to begin our shifts as holiday helpers! The feeling that happens when you get the chance to meet new people, spend time with friends and really bring some joy is an amazing one! An experience recommended for one and all. Next stop: Steppin’ Stone Farm on January 17th. 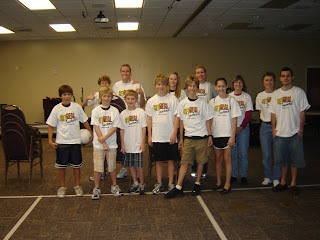 See the website http://www.getrealinvolved.org for details!